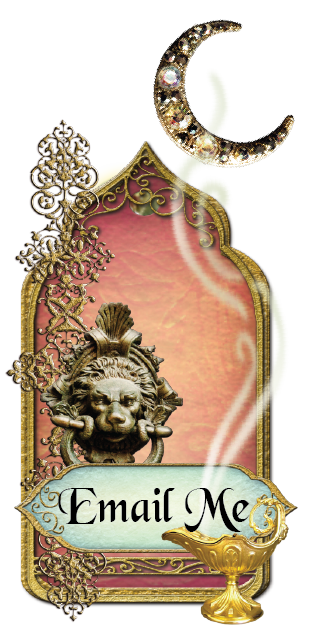 I’ve been working on so many “pretty” projects lately I decided to do a steampunk themed one to get the taste of pink out of my mouth. 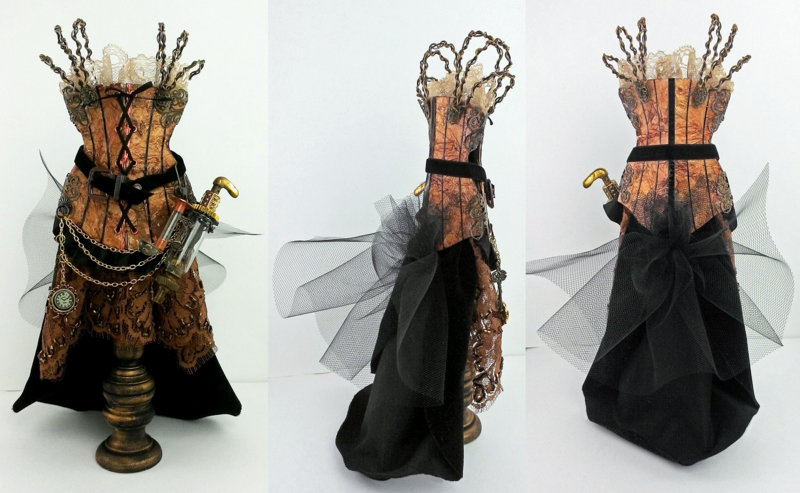 The top of the dress is made from 2 sets of chipboard corsets. I used two so that I could make the dress 3-D.
On the back of the two pieces of corset I used a piece of tape to join them. 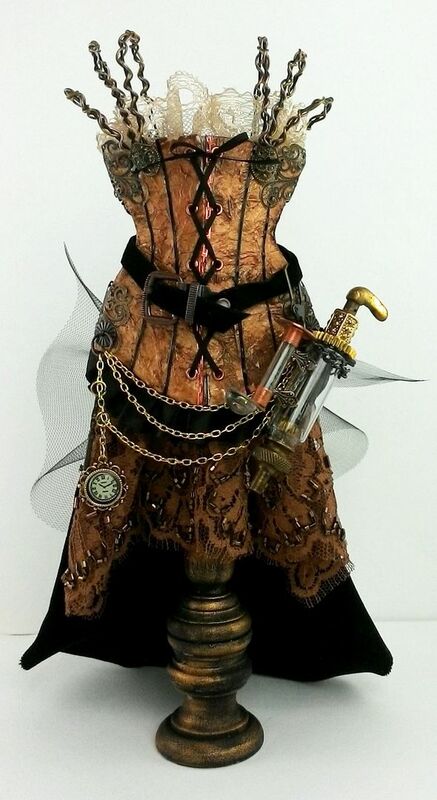 I did this for both sets of corsets. 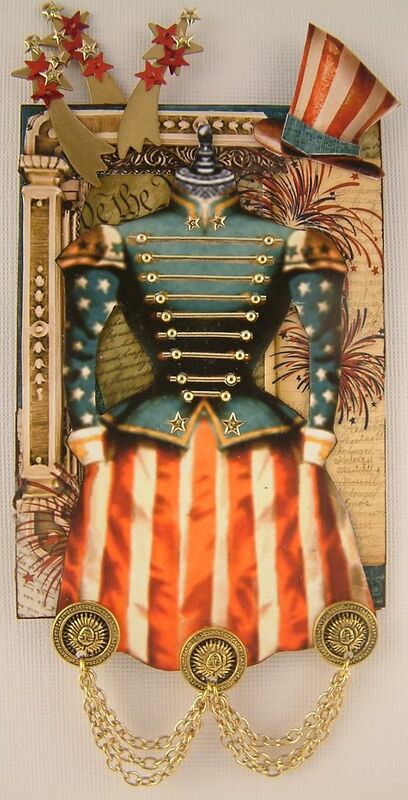 I used a tissue paper texture technique to cover the corsets back and front (click here for the video tutorial). Don't glue the pieces of the corset together as you need a little give in the centers when you bend them slightly to attach the two sets together. 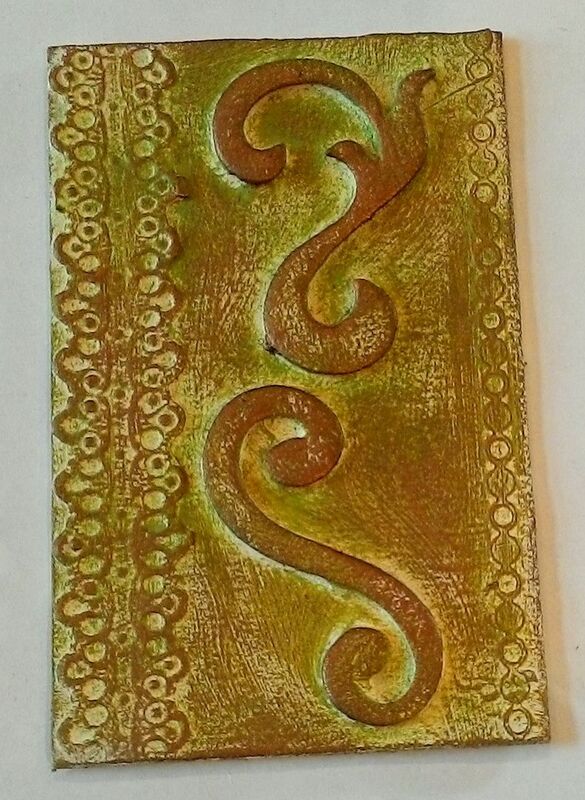 After applying the tissue paper, I stained them with Vintage Photo stain and then applied some Inca Gold Gilders Paste. I thought the finished result looked like worn leather. 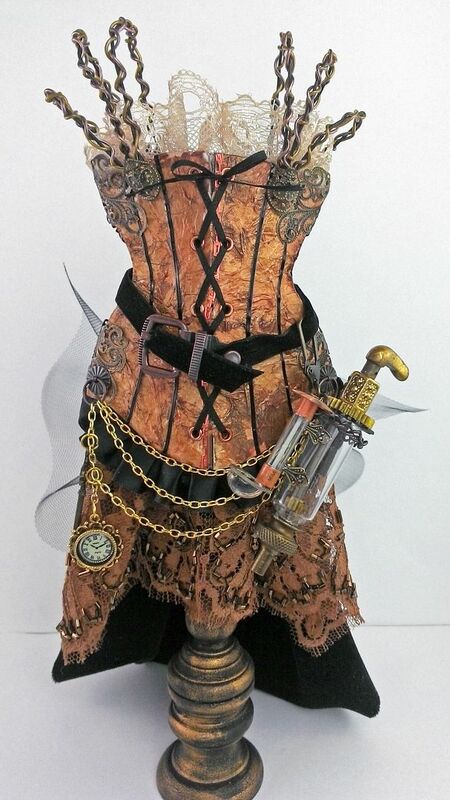 The black piping on the corset is stickers. The stickers work great as they are pliable and you can apply them along a curve. 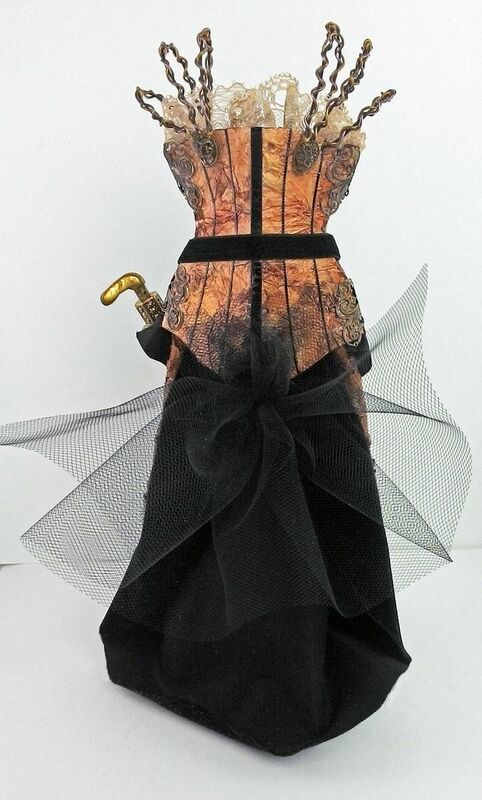 I used silk ribbon to lace up one set of corsets. The shoulder straps are made from braiding 3 pieces of wire. 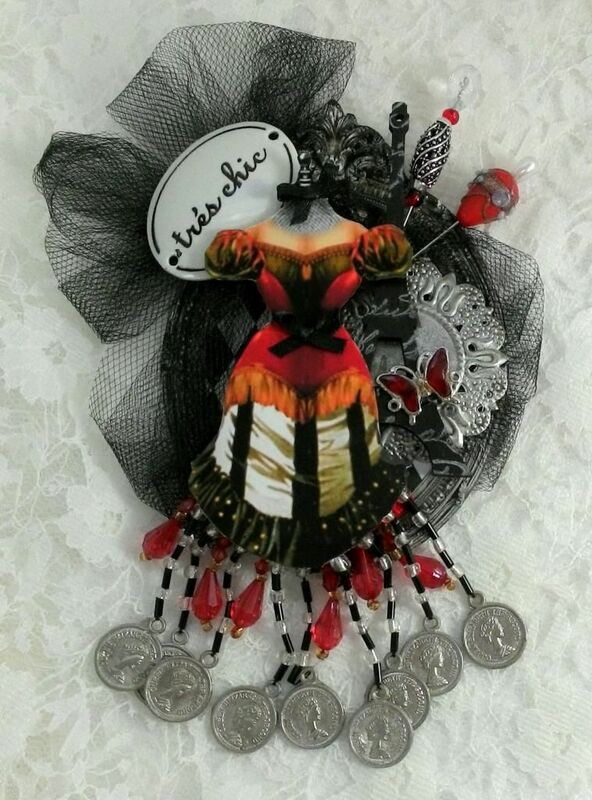 I used filigree butterflies (that are easy to bend) to attach the two corsets together. To make the dress I used beaded lace and velvet fabric (from my stash) and black tulle. 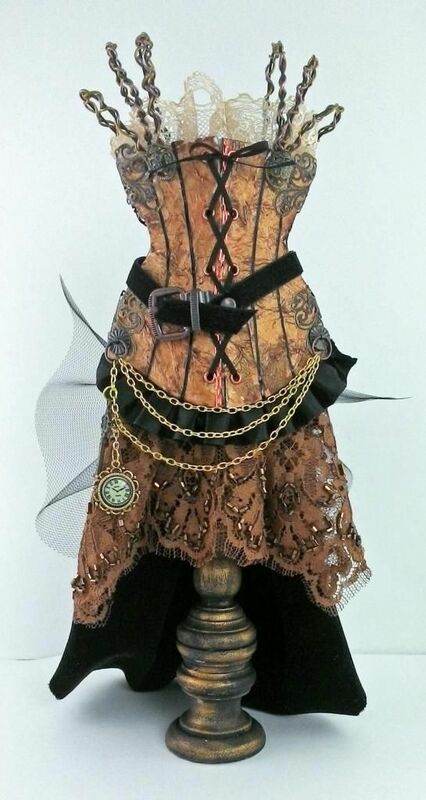 Once I finished adding all of the embellishments and fabric, I mounted the dress onto a stand made from gluing together wooden candlestick holders. I painted them black then highlighted them with Gilders Paste. The holders are the perfect size to fit between the corsets. The final touch is the ray gun perhaps used to deal with unruly aliens. 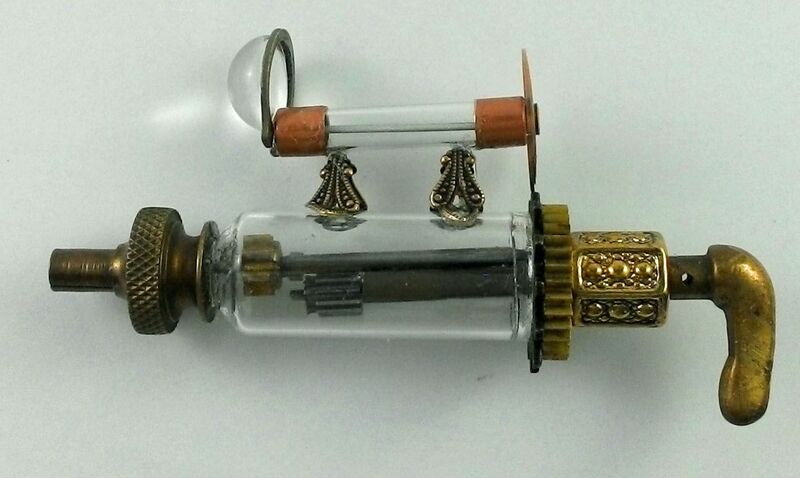 It’s made from clock parts from my stash, a fuse and a domed apothecary bottle. 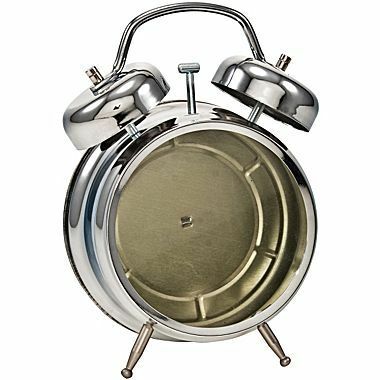 As soon as I saw the raw assemblage alarm clock I knew I would have to do something with it. This month’s Alpha Stamps corset theme gave me the perfect excuse. 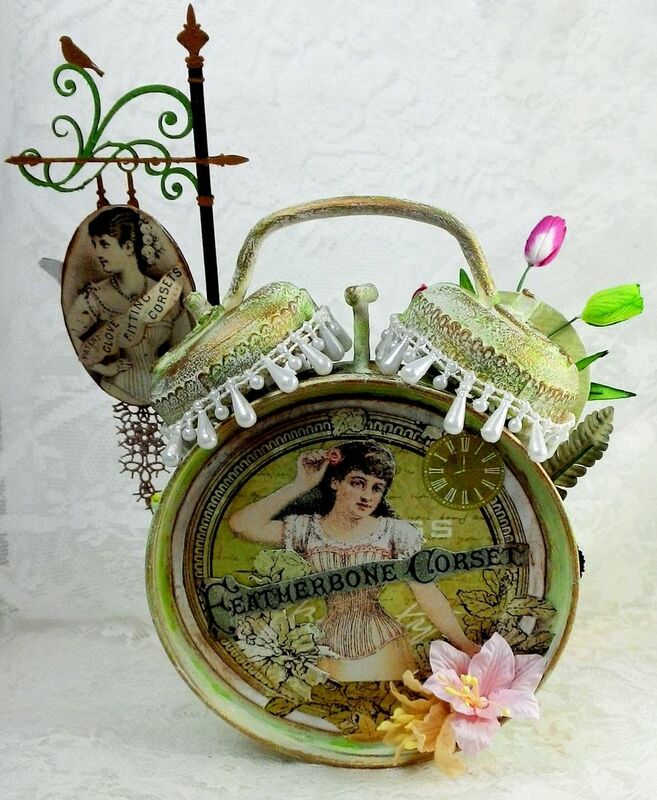 There are two things I love about altering a clock; turning a functional item into a piece of art the many surfaces to junk up! From a theme perspective I decided on a Victorian corset shop. I didn’t leave a single surface untouched and even added the sign post to stickup beyond the top of the clock. 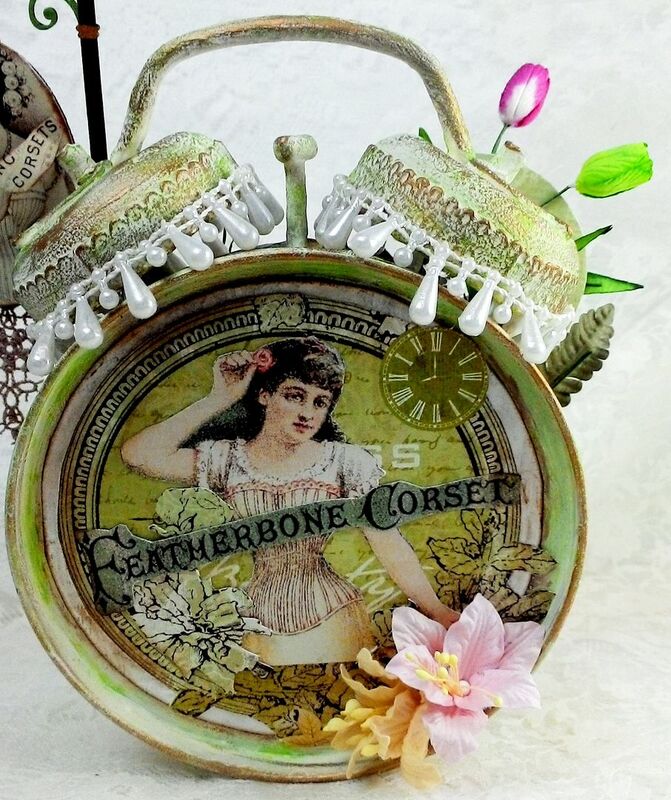 The clock is accented with gorgeous paper flowers which I chose and Alpha Stamps graciously agreed to carry. I particularly love the sweet miniature tulips which are perfect for this time of year and for Easter themed projects. 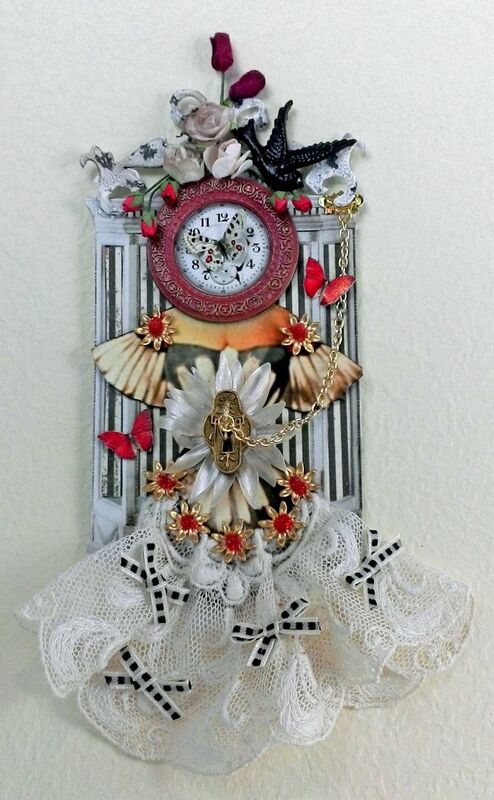 The inside of the clock is super deep so there is lots of room for dimensional embellishments. Notice the embossed design on the sides of the clock and on the bells. 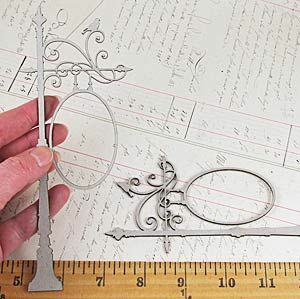 The tutorial will cover how I achieved the embossed design, the embellishment and re-assembly of the clock. I started by removing the back of the clock and then loosening the screws inside that keep the tabs in place. The tabs are used to hold the glass against the front of the clock. I removed the screws and tabs and then removed the glass. I screwed the screws back in place (as they hold the bells and legs in position) but not the tabs. Once the clock was altered, I did not intend to open it up again, so I decided I could glue the glass in place rather than using the tabs. 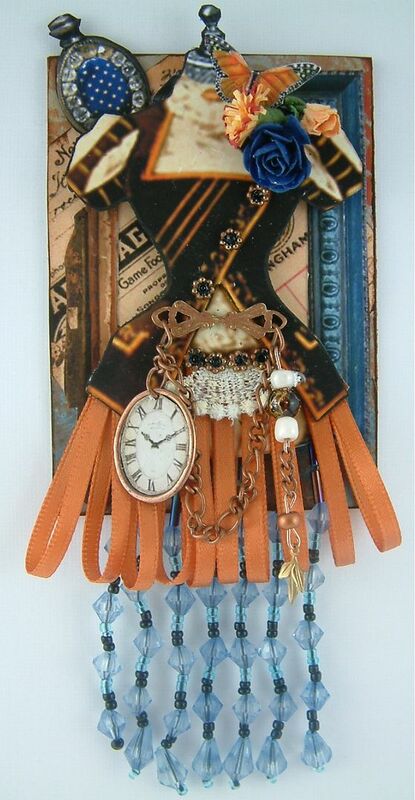 Besides, the tabs are not attractive and get in the way of the embellishments inside of the clock. The next step was to create the embossed design on the outside of the clock. I accomplished this by attaching chipboard scrolls, Dresden and stickers to the clock. 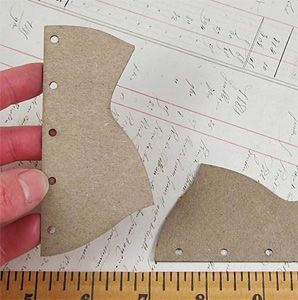 If you are going to attach something like chipboard to a curved surface, I suggested you pre-bend the chipboard making it easier to glue in place. 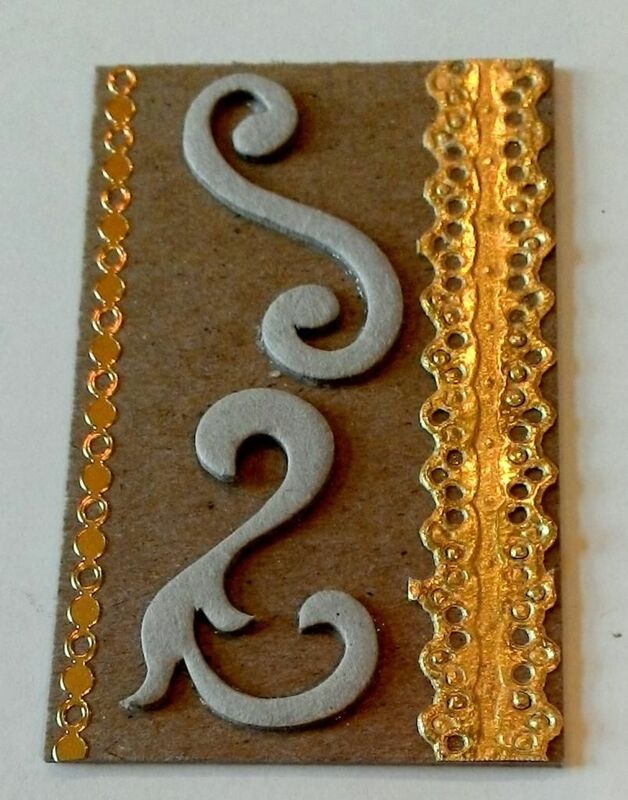 Below, I walk through each step of the embossed design technique using a piece of chipboard, as I thought this would make it easier for you to see how it is done. This technique can be used on any surface. First, attach bulky items to your surface. 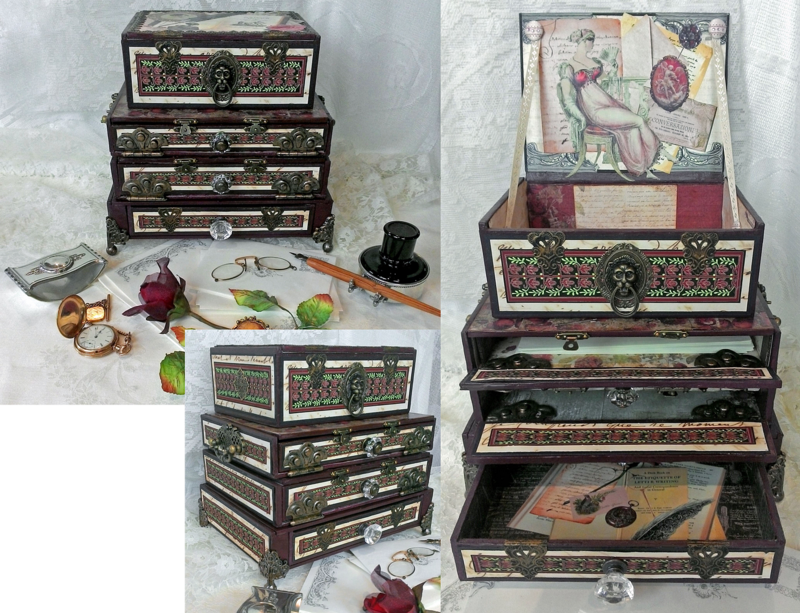 I used stickers, chipboard scrolls and Dresden. Next, paint your surface. In the case of the clock I started with white Gesso, as it seem to stick better to the metal than acrylic paint. I could have used a metal paint but since there was so much surface area, it would have been much more expensive. 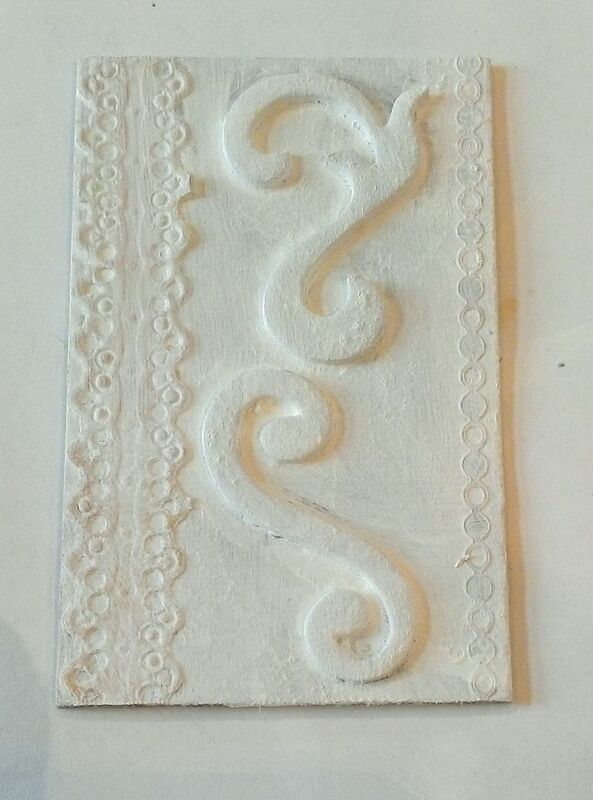 This piece is a decorative one so Gesso or acrylic paint should work fine. 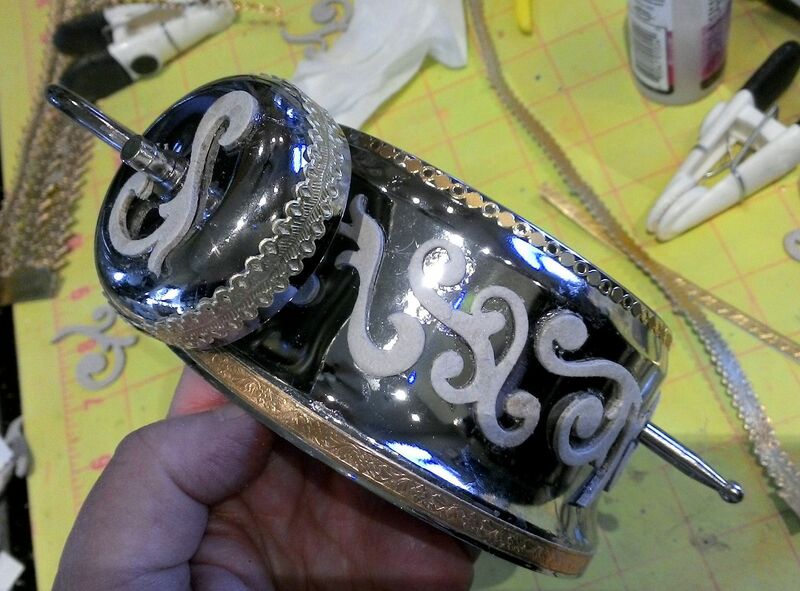 If your piece were going to be handled frequently you might want to use a metal paint. It took me 3 coats to block out the silver metal of the clock. Next, I started adding color by painting the surface with an off white acrylic paint. 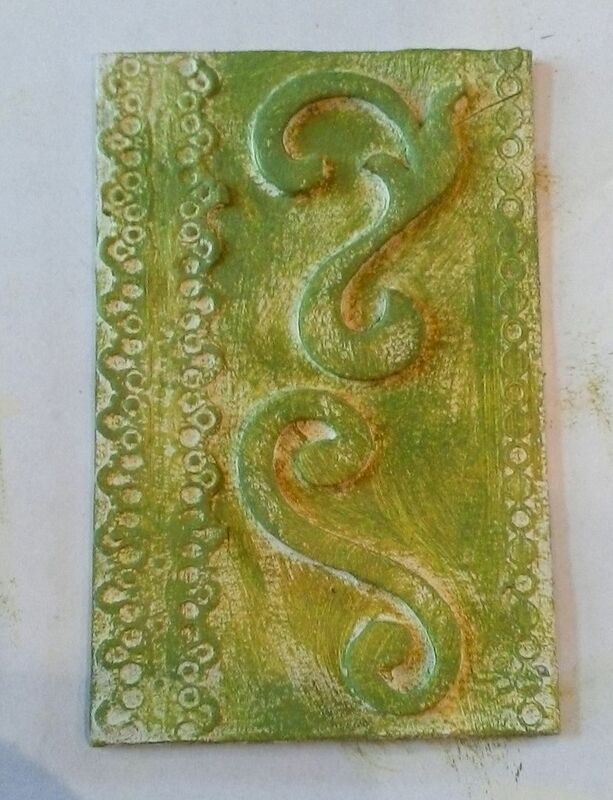 I added more color by dry brushing the surface with green paint (leaving some of the cream showing). Lastly, I used my finger to apply Gilders Paste to the raised surfaces. 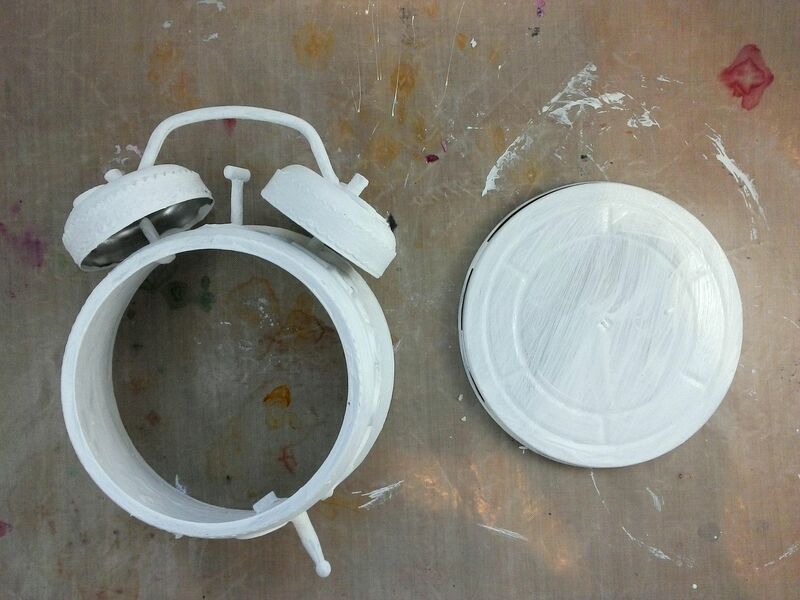 In the picture below you can see the clock painted with the Gesso. One thing to note is to be careful not to paint the area where the back fits back into the clock. 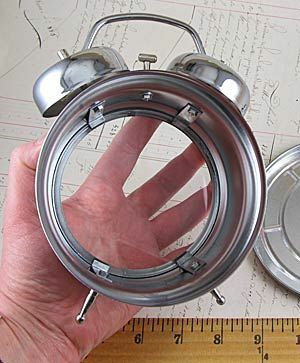 The back fits snugly and paint buildup will prevent it from fitting into the clock. I used a little sandpaper to sand away the paint before inserting the back into the clock. 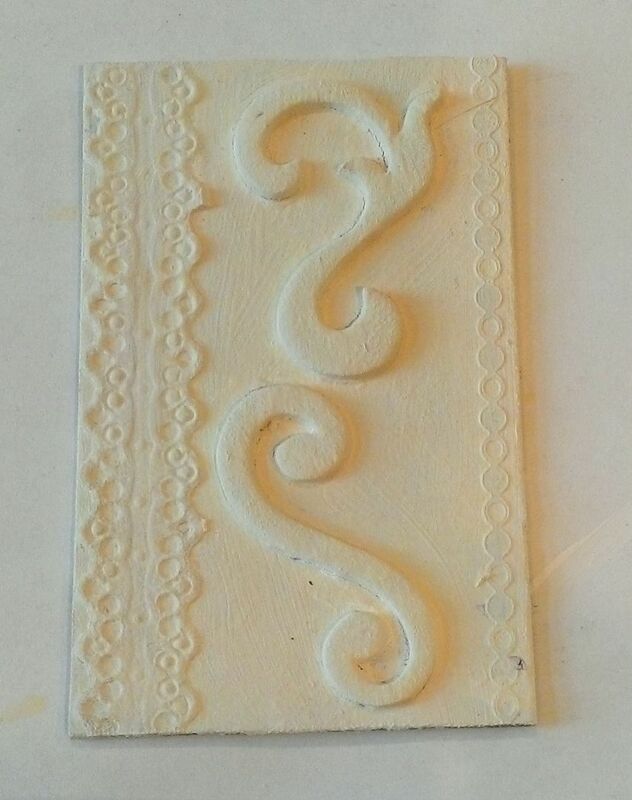 Below are pictures of the finished embossed design technique. I dressed up the bells of the clock with teardrop fused pearls. The bells made me think of Victorian lamps with hanging beads, which is something I thought a Victorian shop would have. I absolutely love any kind of signs so I though adding a chipboard sign to the front of the corset shop would add a perfect touch. 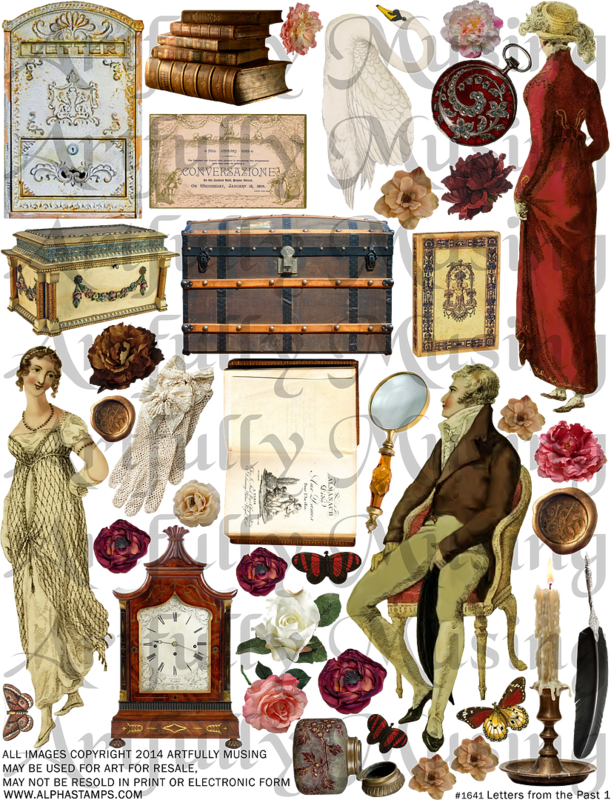 I painted the various parts of the sign and added images from The Secret Out at Last Collage Sheet. For a final touch, I added a piece of lace to the bottom of the sign. 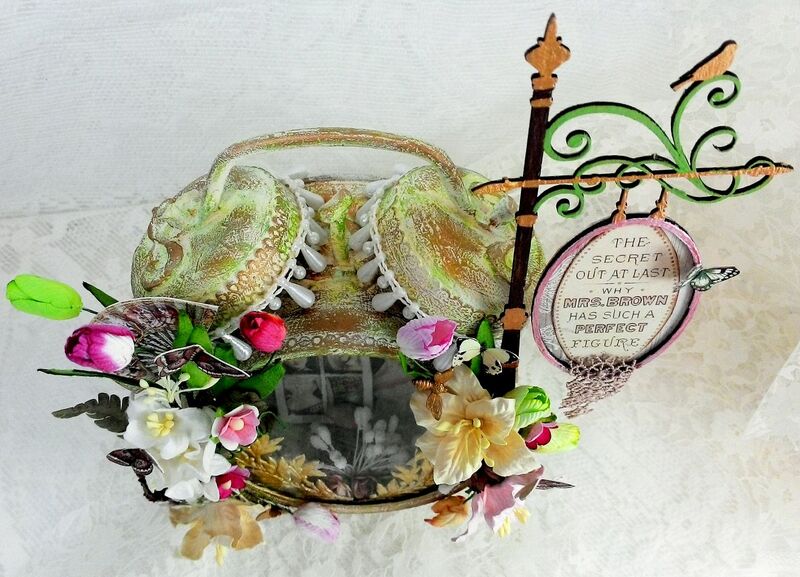 The sign is glued to the rim of the clock, which was done before adding the flowers. 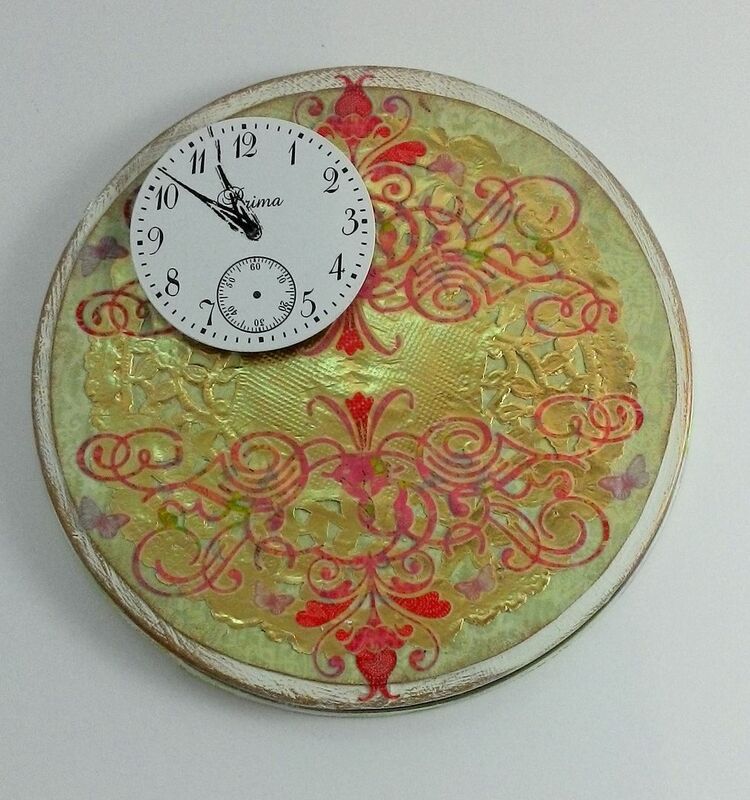 To decorate the inside of the clock, I first added paper then a 4 inch gold doily. Next, I applied rub-ons from my stash, and then a clock face popped up with a piece of double stick foam tape. 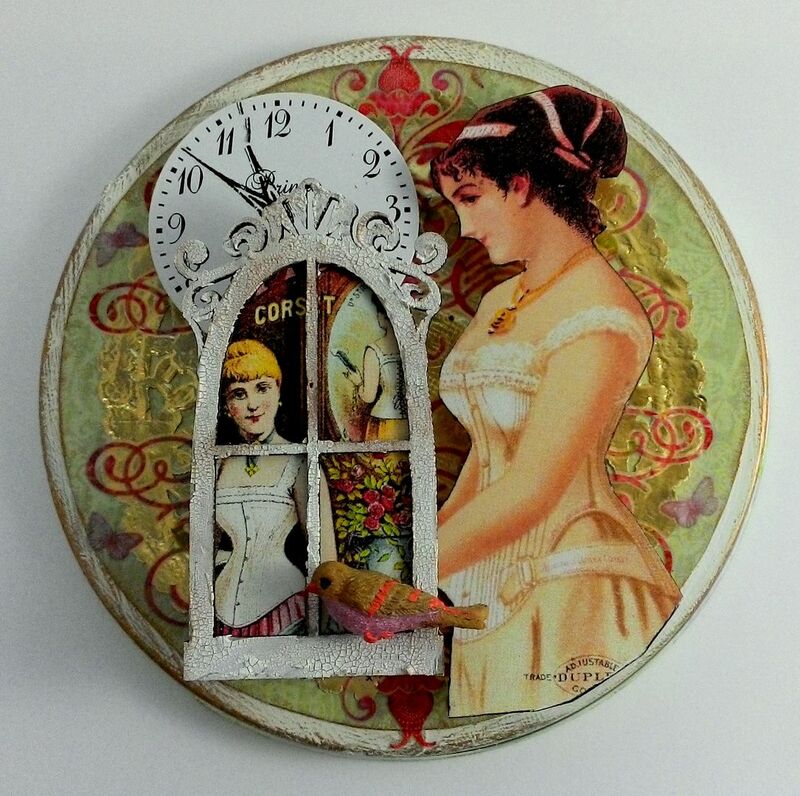 I added the image of the woman which is popped up further than the clock, and then the window (popped out even further) which is painted with Picket Fence Crackle paint and backed with an image. 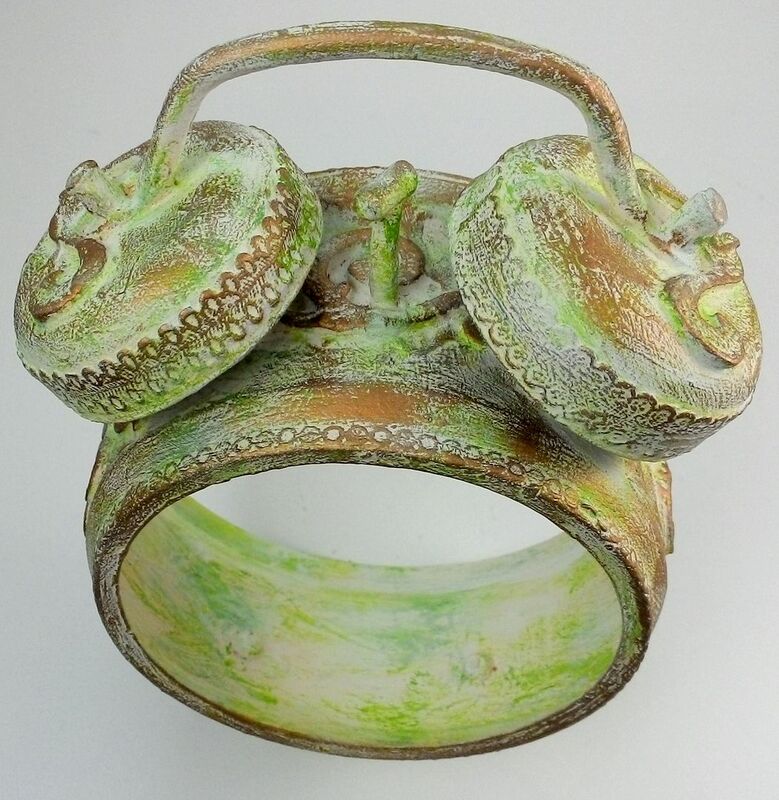 There is lots of room to create as much depth and dimension as you like. 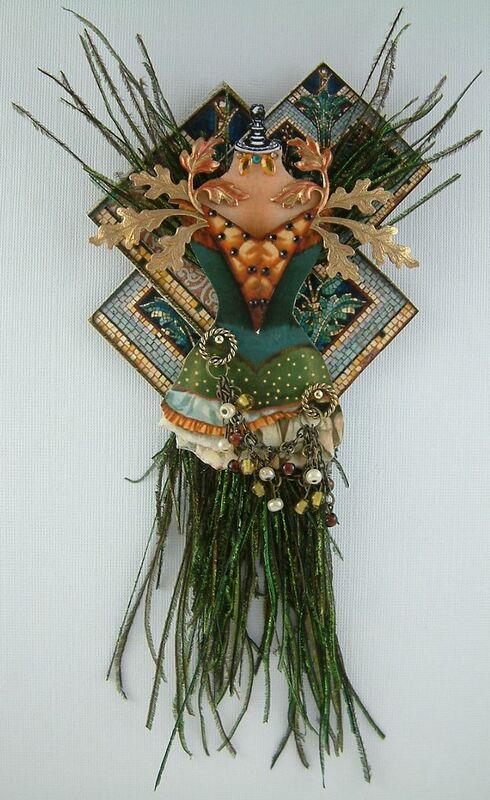 I glued Gold Dresden Myrtle Leaves to the inside of the glass and glued flowers to the inside bottom of the clock. 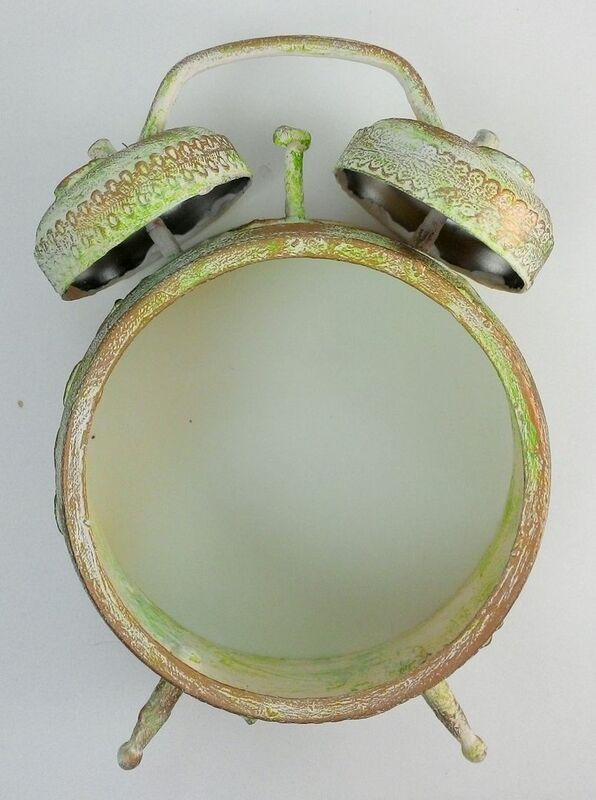 Once all the pieces were decorated, I glued the glass in position and inserted the back of the clock back into place. 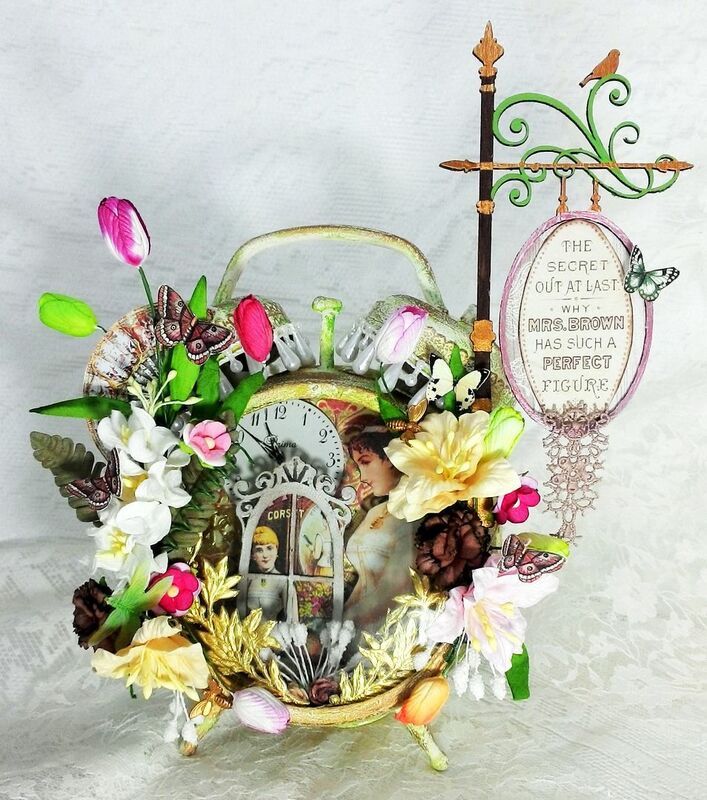 The last step was to decorate the front of the clock with flowers. 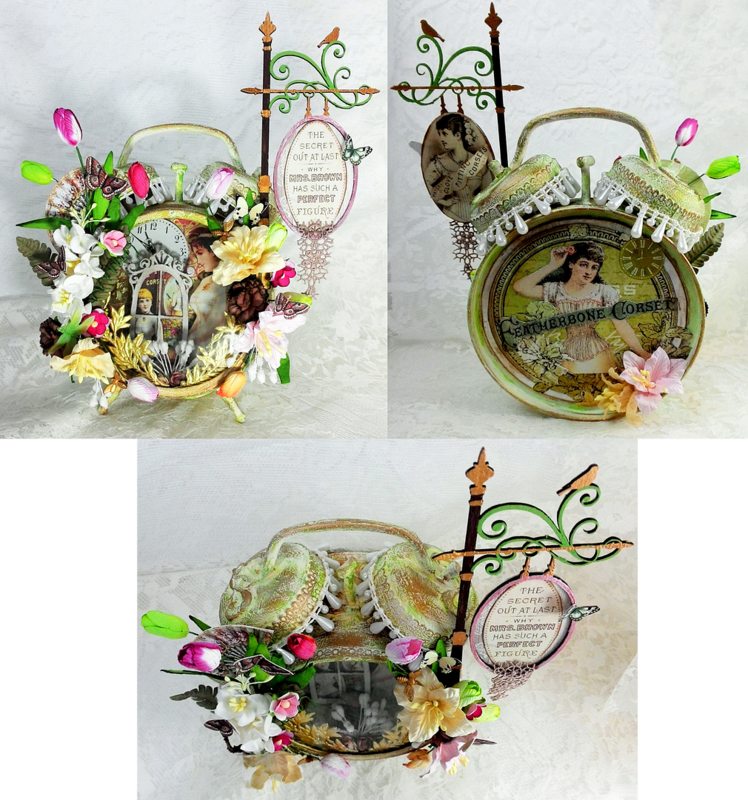 On the back of the clock I used an image from The Garden Timeless scrapbook paper and more images from collage sheets and finally paper flowers. 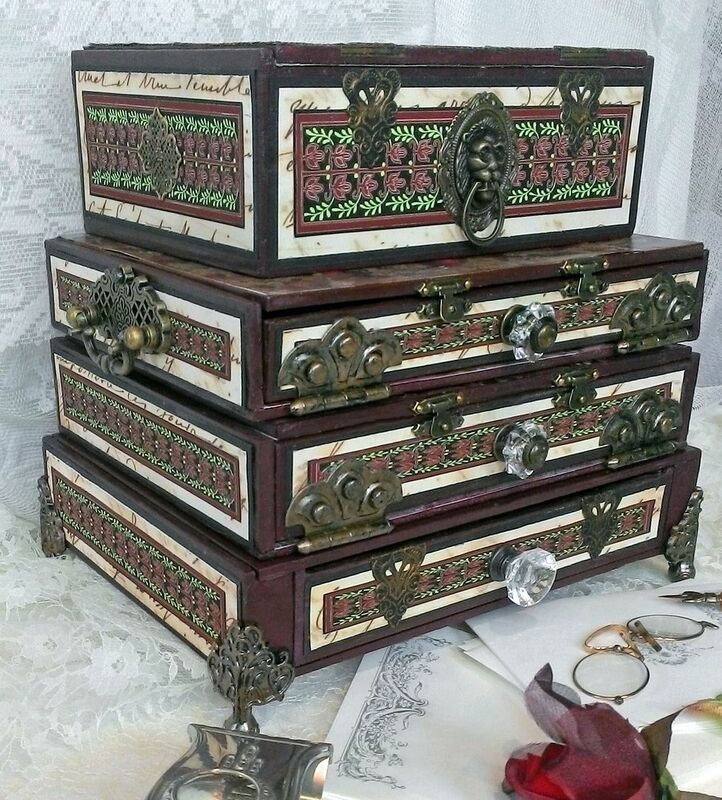 For all you altered cigar box fans I have a project that is right up your alley. 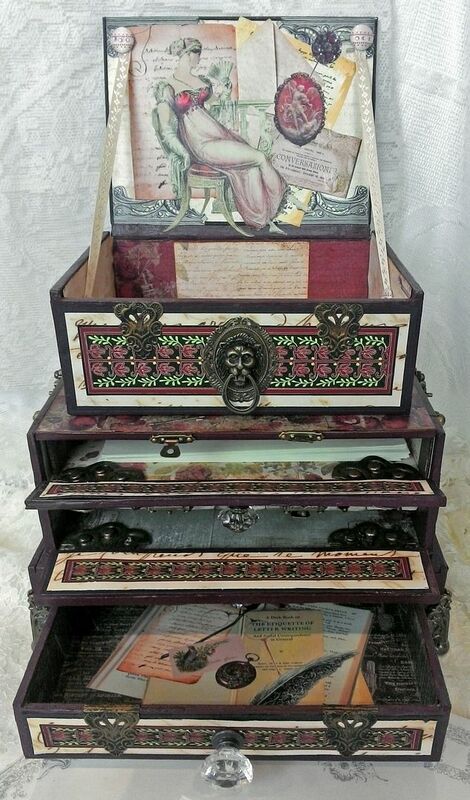 By combining multiple cigar boxes you can create a piece of art that is also functional. Hunt down some boxes, choose your theme and you’re good to go. 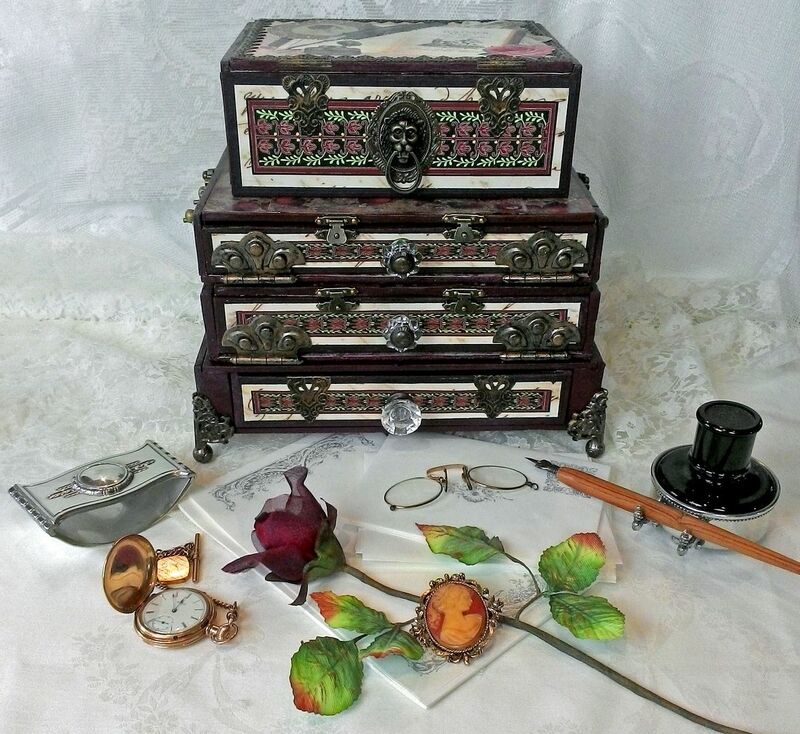 In the sample, I envisioned a vintage writing chest that carried all of the essentials of proper communication, perhaps traveling with an elegant woman during Jane Austen’s time. 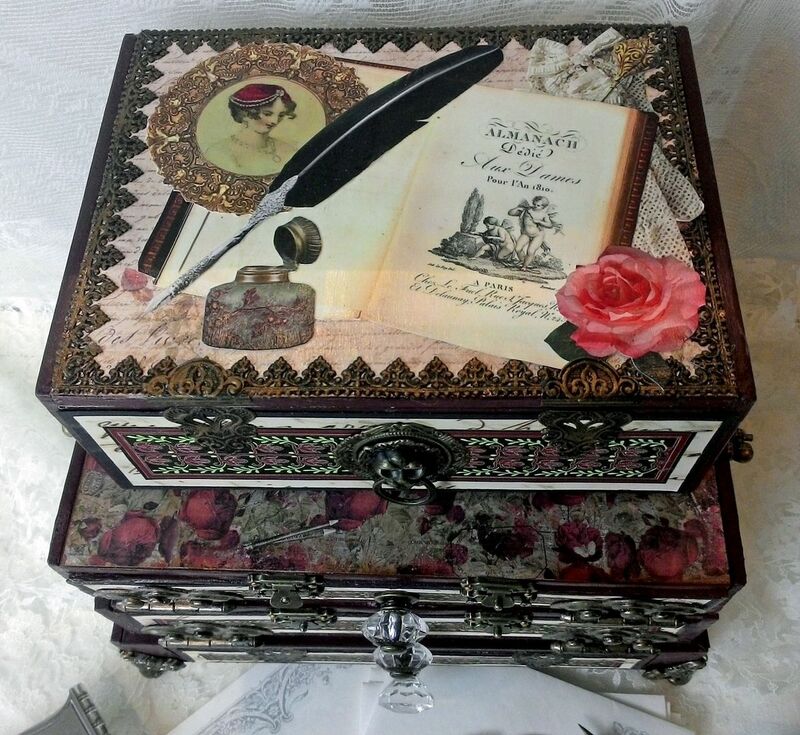 Of course there are so many uses for a chest like this such as jewelry, keepsakes or maybe a place to store your favorite pieces of art. 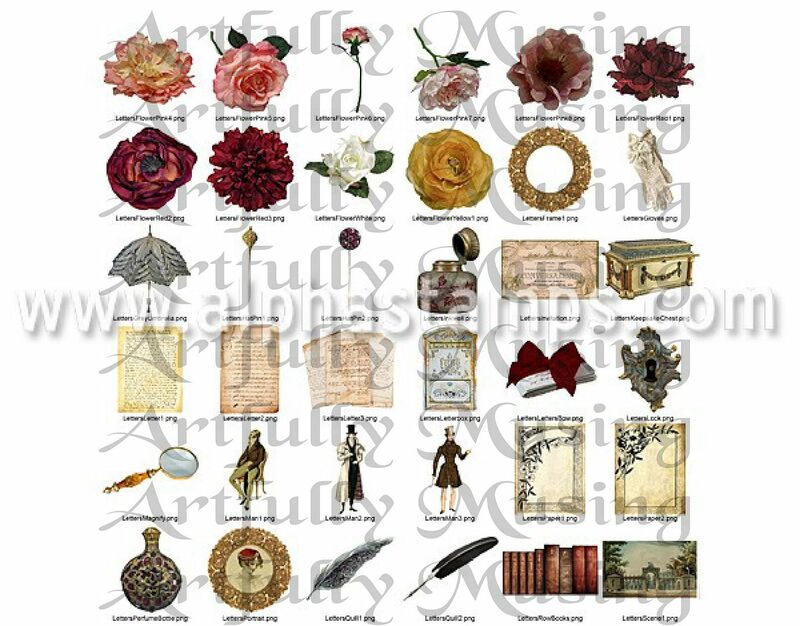 To go along with the writing chest I’ve created new collage sheets and a digital image set titled “Letters from the Past” which are available at Alpha Stamps. 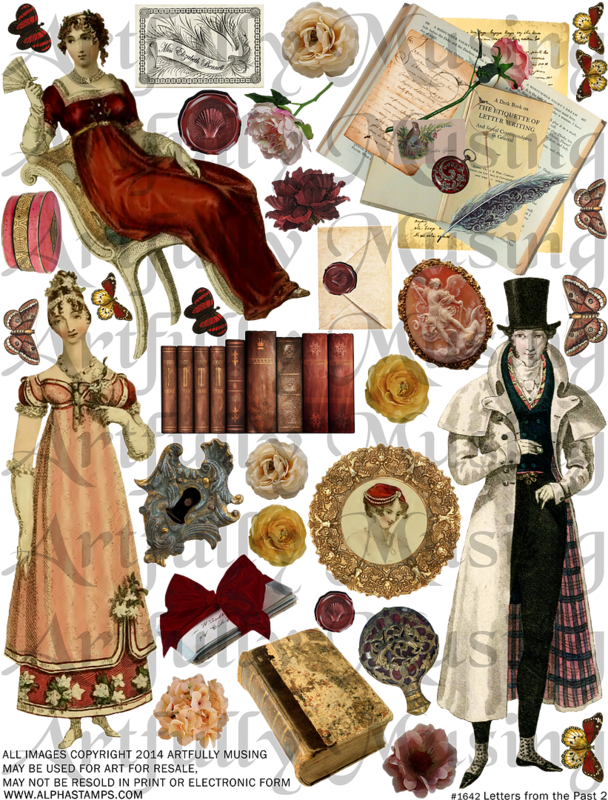 In addition to the using the images in the writing chest I also used the digital images to create my blog header and Email Me button. 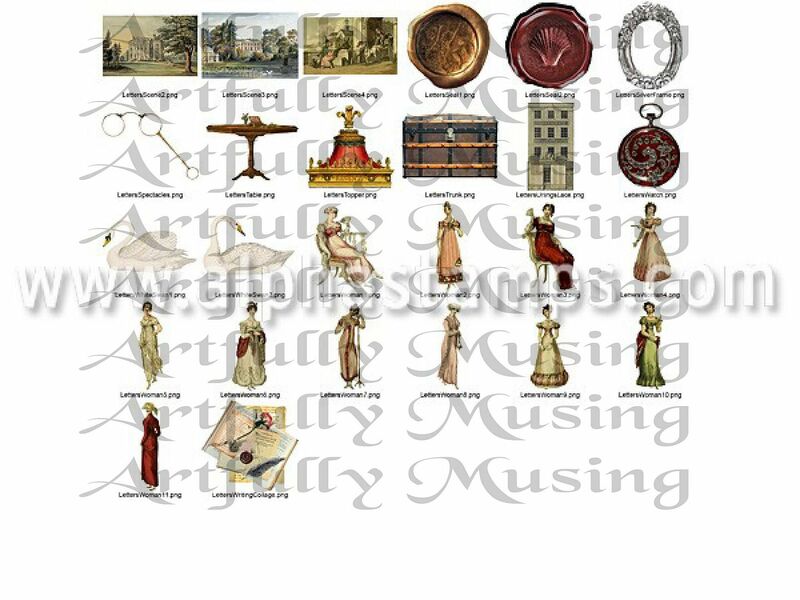 The digital image set includes all of the images in the collage sheet plus many more for a total of 98 images. Along with more images, the digital image set gives you much more flexibility in printing just the images you want, and in resizing the images to your particular needs. 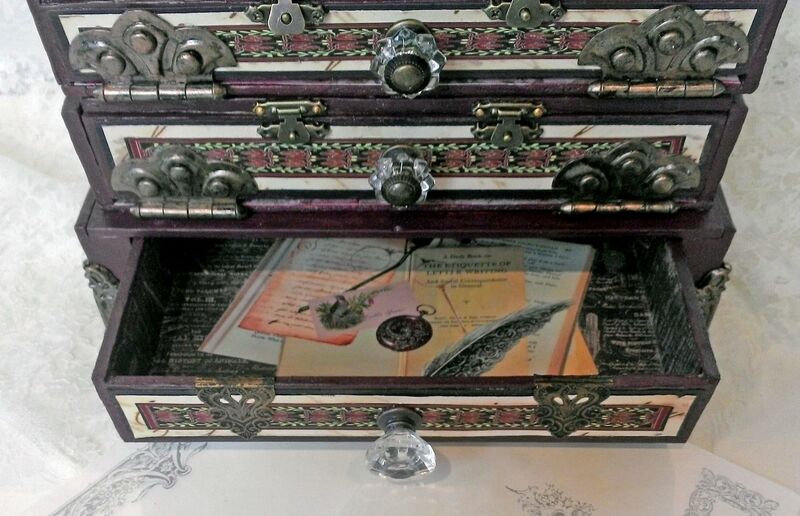 In this tutorial I’ll cover how to alter, decorate and assemble cigar boxes to create a chest. There is also a companion downloadable PDF document which includes the information covered in the tutorial. Further down in this post you will find the complete list of the products I used on the sample chest. 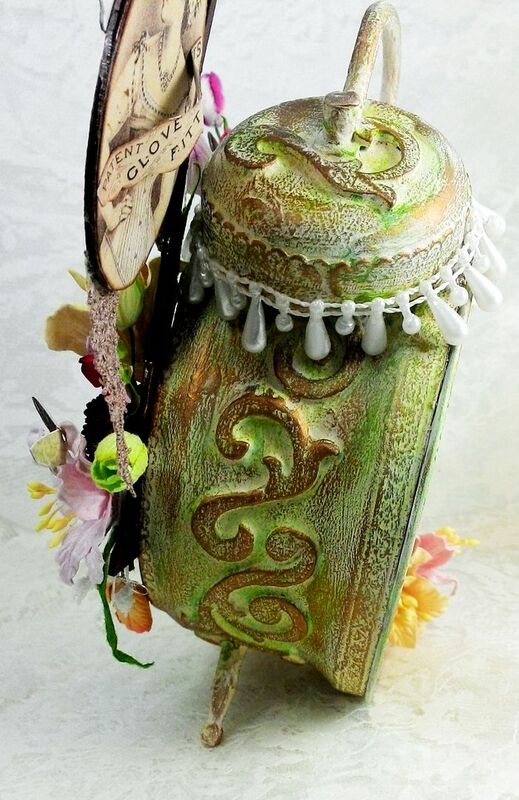 Click here to download the companion PDF document- How to create a flip-up lid is covered in the PDF document. 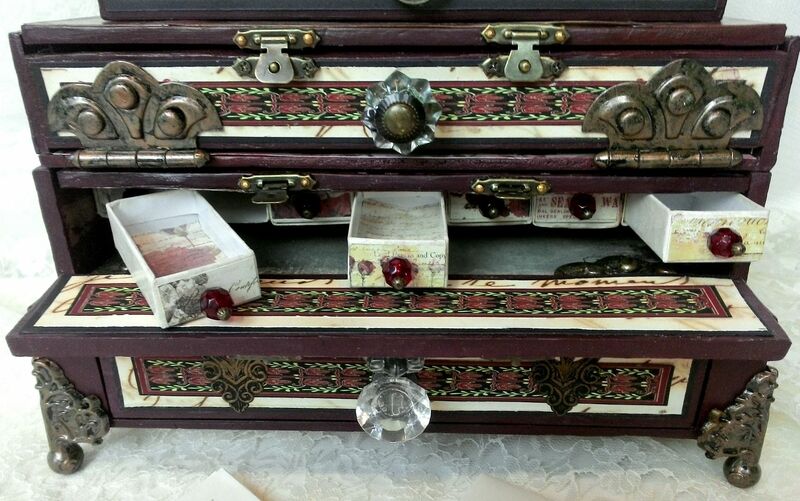 If you choose to keep the look of the cigar boxes for your chest you will need to replace the cigar box edging paper. 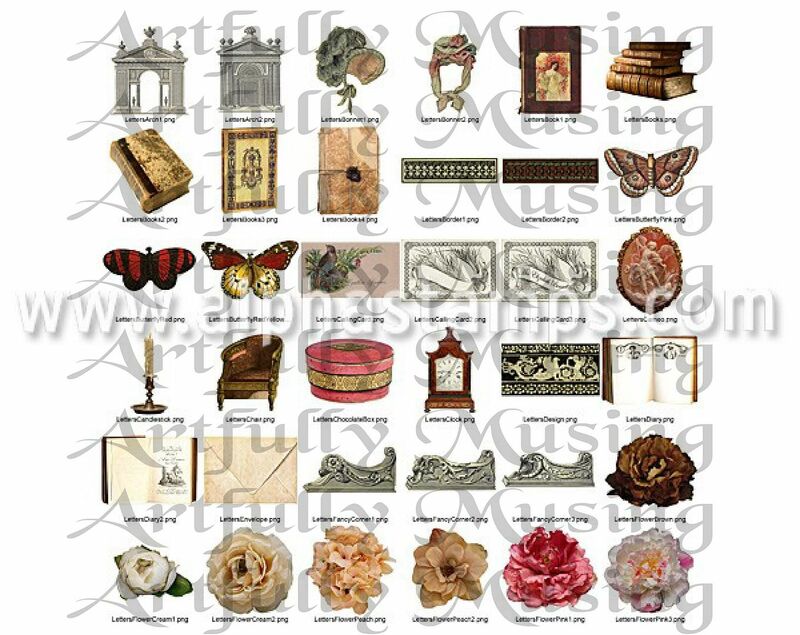 Below are links to free collage sheets with edgings. I suggest you print the edgings on thin glossy paper as it will look like the real thing and be thin enough to wrap and glue to the box edges. I use what is called glossy “presentation” or “brochure” paper made for inkjet printers. You can find it online and at office supply stores. 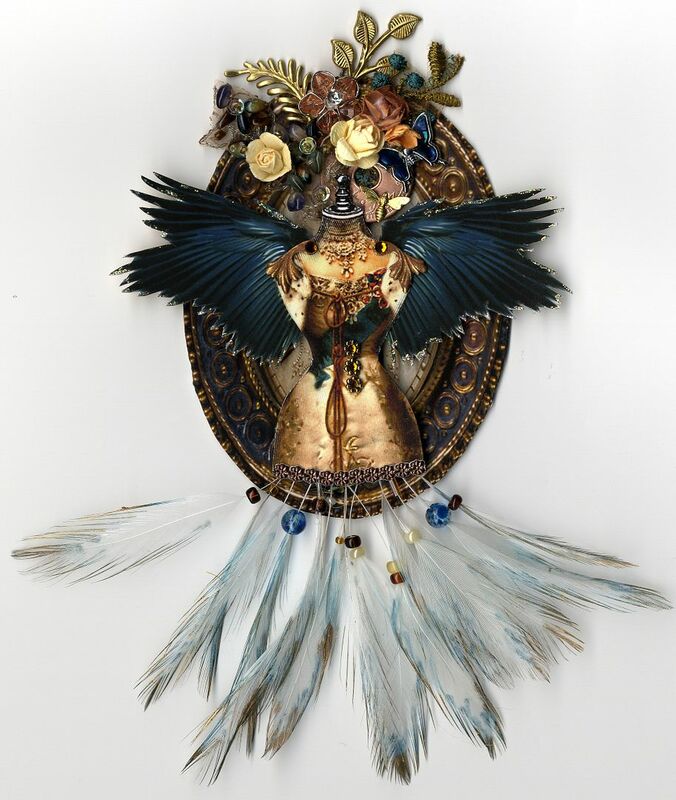 Picture above is the final dress form in the series. 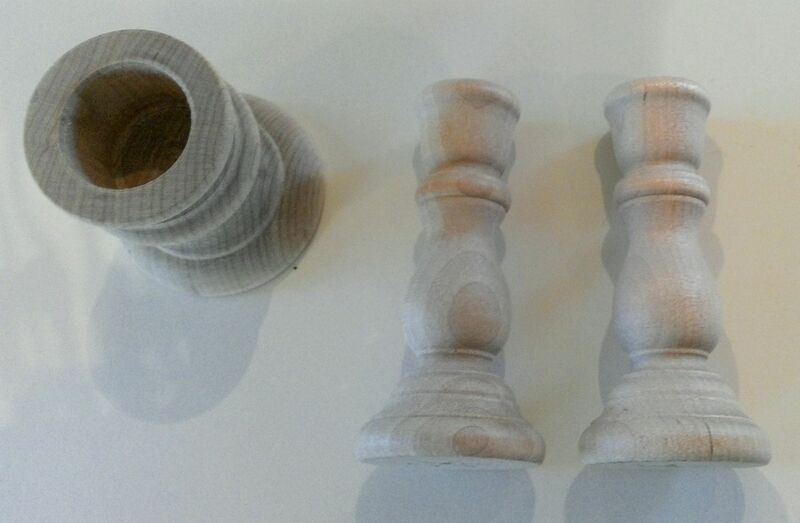 I made the first one in February 2011 and the last one last week. Talk about a project taking a long time! 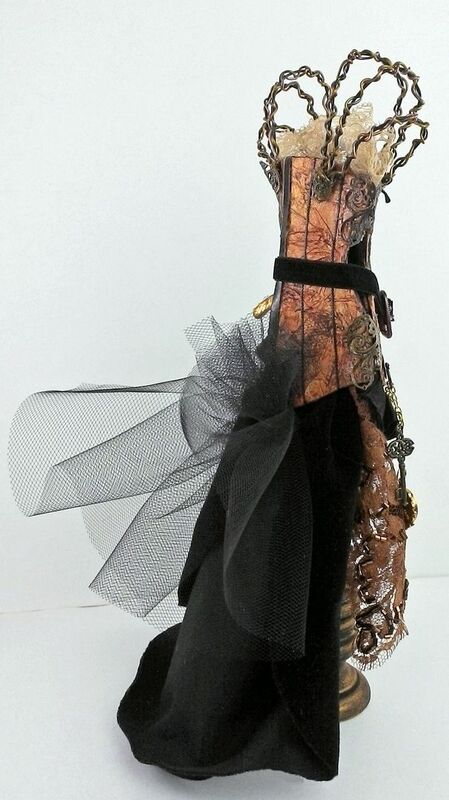 As requested, below is a recap of the rest of the dress forms in the series..
For all you altered cigar box fans, I have a new video tutorial project I’ll be posting this coming weekend so stay tuned!